Chagatai Khan: The Ayatollah, Dictatorship & Judiciary. General Ziaul Haq offering prayers behind Khomeini - "QUOTE" Quotes from just after the Islamic Revolution in 1979: "The mullahs are going to rule now. We are going to have ten thousand years of the Islamic republic. The Marxists are going to go on with their Lenin. 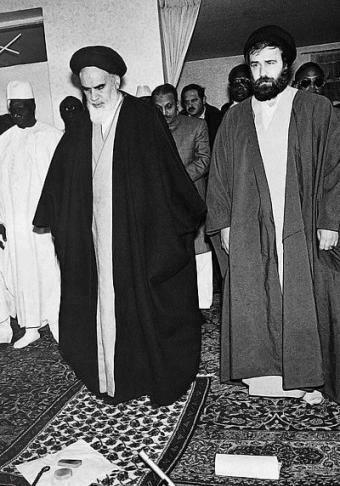 We are going to go on in the way of Khomeini." Ayatollah Khalkhali ---- "What he [Stalin] did in Russia we have to do in Iran. We, too, have to do a lot of killing. A lot." Behzad, Iranian interpreter for Western journalist V.S. Naipaul ----- "I inform the proud Muslim people of the world that the author of the Satanic Verses book which is against Islam, the Prophet and the Koran, and all involved in its publication who were aware of its content, are sentenced to death. "Ayatollah Ruhollah Khomeini FATWA issued February, 1989 against Salman Rushdie http://chagataikhan.blogspot.com/2011/10/using-islam-in-pakistani-politics-is.html---- "The mullahs are going to rule now. We are going to have ten thousand years of the Islamic republic. The Marxists are going to go on with their Lenin. We are going to go on in the way of Khomeini." Ayatollah Khalkhali ---- "--- "There is no room for play in Islam... It is deadly serious about everything." Ayatollah Ruhollah Khomeini Speech at Qum, reported in Time magazine January 7, 1980 "UNQUOTE"
Article (6) of the constitution 6. (1) Any person who abrogates or attempts or conspires to abrogate, subverts or attempts or conspires to subvert the Constitution by use of force or show of force or by other unconstitutional means shall be guilty of high treason. (2) Any person aiding or abetting the acts mentioned in clause (1) shall likewise be guilty of high treason. “No criminal proceedings whatsoever shall be instituted or continued against the President or Governor in any Court during his term of office.” The language of the above provision is clear, and it is a settled principle of interpretation that when the language of a provision is clear the court should not twist or amend its language in the garb of interpretation, but read it as it is. I therefore fail to understand how proceedings on corruption charges (which are clearly of a criminal nature) can be instituted or continued against the Pakistani President. Moreover, how can the court remove a Prime Minister? This is unheard of in a democracy. The Prime Minister holds office as long he has the confidence of Parliament, not the confidence of the Supreme Court. In the past, Pakistan's supreme court has hanged an elected prime minister on trumped-up charges, sentenced another to life imprisonment and forced several career politicians into exile. So the disqualification of the prime minister, Yousuf Raza Gilani, on contempt-of-court charges should be seen as a step forward. Nobody died, right? The Pakistan Peoples' party and its coalition partners now have another prime minister in the shape of Raja Pervez Ashraf. Pakistan's supreme court will thump its chest and say we have proved that the law is the same for a commoner and a king. Pakistan's all-powerful army will say: look, no hands. So why are Pakistan's human rights activists calling it a judicial coup and warning us that the whole democratic facade is about to be pulled down? Political decisions used to be made in the Pakistani army's HQ. But the action has shifted to court one of the supreme court, in full view of the public, with judgments framed and delivered like soundbites for the primetime news. 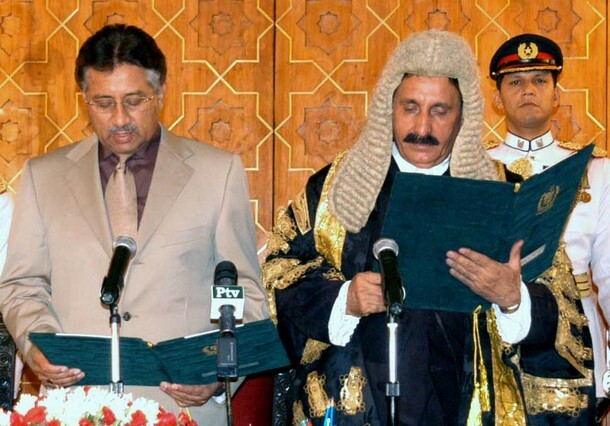 Since being restored to his job after being sacked by President Musharraf in 2009, the chief justice, Iftikhar Chaudhry, has been betraying an evangelical streak in his pronouncements. Maybe he feels that, with a country full of self-righteous zealots, he needs to adapt their tone. Or perhaps he is one. He doesn't wait for the petitioners to come to the court, he watches TV and acts on his own cognizance. 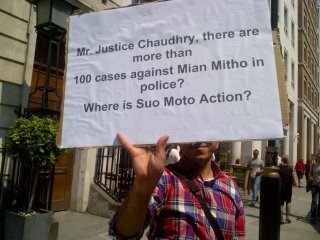 Even the half of Pakistan that can't read or write will tell you what a suo motu is. We have already been quoted Khalil Jibran and the Persian poet Hafiz, and, it seems, a verse from the Qur'an or a hadith is only ever a suo motu notice away. 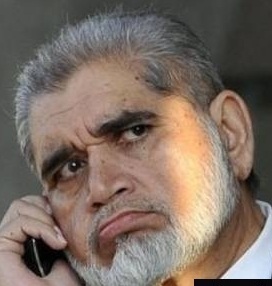 When the chief justice took suo motu notice of allegations of his own son's corruption he turned up in court waving a copy of the Qur'an and insinuating comparisons with himself and the second caliph, Umar. Last year the chief justice took suo motu notice against the country's most famous television actress for possessing a bottle of wine. Elsewhere, one of his sidekicks wondered aloud that if one day Pakistan's parliament were to legalise gay marriages, would the supreme court sit quietly and watch? This court is not as much in love with the rule of law as with the sound of its own sermonising voice. It has also mastered the art of selective justice. The same supreme court that has been sitting on an ISI corruption case for 15 years, the same judiciary that can't look a retired general in the eye or force a serving colonel to appear in court, feels it perfectly constitutional to send a unanimously elected prime minister home. There are not many tears being shed over Gilani. Looking at his record, many would say that he should have stayed home in the first place. But what is the point of clamouring for democracy if we can't elect imperfect people – slightly less competent and way more corrupt than our average traffic cop – to lead us? There are many ways of getting rid of a prime minister (though the old-fashioned way of voting them out has never been tried in Pakistan) but no simple way of telling the country's highest judge, restored to his job as a result of a popular movement, that he has begun to sound like that dictator who sent him home. In Pakistan, generals often confuse access to private golf courses with the country's security. Senior bureaucrats consider it their right to name roads and villages after their grandfathers. Mullahs always fall back on God to justify their greed. Political leaders believe that democracy makes it mandatory to groom sons and daughters to take over their political parties. It's not surprising that senior judges have started to believe that respect for them is the same thing as respect for the rule of law. (Reuters) - To his admirers, Pakistan's Chief Justice Iftikhar Chaudhry is a hero whose relentless pursuit of a money-laundering case against the president is teaching a generation of the country's leaders a long-overdue lesson in respect for the law. To his critics, he is a runaway judge in the grip of a messiah complex whose turbo-charged brand of activism threatens to upend the power balance underpinning Pakistan's precarious embrace of democracy. Last week, Chaudhry made his boldest move yet by disqualifying prime minister Yusuf Raza Gilani as punishment for his repeated refusal to obey court orders to re-activate a corruption case against President Asif Ali Zardari. Gilani's downfall marked a watershed in a long-running showdown between the judiciary and the government that has laid bare the institutional tensions plaguing a country that has test fired ballistic nuclear missiles, but has yet to agree on how it should be run. "In practical terms, democracy is finished because the balance of power between the parliament, the executive and the judiciary has been ruined," said a senior member of Zardari's ruling Pakistan People's Party (PPP). The military, which has ruled Pakistan for about half of its 65 years as an independent nation, has also not hidden its disdain of Zardari's government, but has made it clear it does not wish to seize power. And it has its own problems with Chaudhry's activism. The drama has been spiced by allegations of bribe-taking brought against Chaudhry's son by a billionaire property developer, who has himself been accused of land-grabbing and fraud. The controversy briefly put the stern-faced judge on the defensive before he regained the initiative by disqualifying Gilani. The next chapter in the saga could start as early as Wednesday, when the Supreme Court holds its latest hearing in more than two years of legal wrangling aimed at forcing the government to re-open proceedings against Zardari. Pakistan's political class is now transfixed by the question of whether Chaudhry will opt to pause in the wake of his victory over Gilani, or press home his advantage by demanding that Raja Pervez Ashraf, the new prime minister, re-activate the case. Zardari, a consummate political survivor, has already sacrificed Gilani in his determination to ensure the money-laundering case, which falls under Swiss jurisdiction and dates back the 1990s, remains closed. While many Pakistanis are happy to see his unpopular government on the ropes, the pugnacious chief justice is facing a growing backlash from those who fear his court-room victories are being bought at the price of Pakistan's stability. "We all have a problem with corruption, we all want these guys taken to task," said Mehreen Zahra-Malik, a columnist with The News. "But I don't think it should be at the expense of the entire house falling apart." Opposition parties have exploited the crisis to pile pressure on Zardari, raising the risk that the government might be forced to call general elections before its term expires in March. Whatever the president may decide, the stage is set for a new bout of institutional gridlock at a time when Pakistani needs agile leadership to face a host of challenges, from a chronic power crisis to Islamist militancy and tense relations with Washington. The source of Chaudhry's zeal is to be found in one of the more turbulent episodes in Pakistan's recent history, according to lawyers and commentators who have tracked his ascent. Appointed in 2005, Chaudhry became embroiled in a confrontation with Pervez Musharraf, then Pakistan's military leader, who removed him from office after he opposed plans to extend the general's term in office. Huge crowds poured onto the streets to support Chaudhry's stand against the generals. Zardari's government, which took power in 2008, was forced to re-instate him the following year after an outpouring of street protests by lawyers. The heady victory seems to have shaped the judge's self-image as a champion sent to right the wrongs inflicted on ordinary Pakistanis by a self-serving elite and an over-privileged military. He has since used his powers to investigate everything from petrol and sugar prices to cases of people whose relatives say they have been abducted by Pakistan's intelligence services. The judge's eagerness to rewrite the rules of Pakistan's power game have won him support among those who see the judiciary as the only realistic hope of holding their leaders to account. Zardari's choice of Ashraf as prime minister may only reinforce Pakistanis' sense of despair in their government. As a former power minister, many Pakistanis hold Ashraf partly responsible for the chronic electricity shortages that triggered a fresh bout of violent protests last week. But Chaudhry, too, has got his fair share of criticism. Some say the decision to disqualify Gilani smacks of a grudge match cheered on by his allies in Pakistan's boisterous media. Legal experts have questioned whether Chaudhry may have exceeded his powers by ousting the prime minister, arguing that there were other options available to resolve the stand-off with Zardari's government. 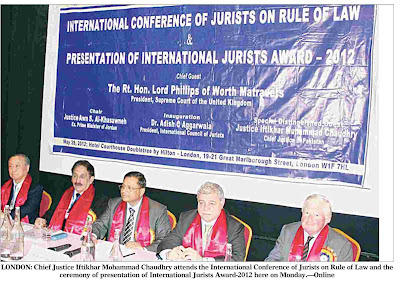 "It's my impression that the judgments are highly politicized," said Asma Jahangir, a respected human rights lawyer. "The populist approach of the chief justice will destabilize the democratic process." The ruling PPP believes Chaudhry is deliberately fast-tracking corruption proceedings against its members, while leaving cases against opposition politicians to gather dust. 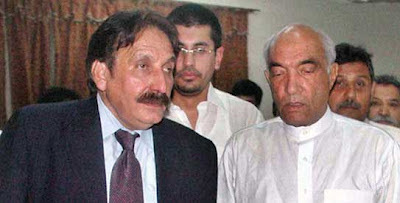 “On the issue of former Chief Justice Iftikhar Chaudhry, Shahbaz claimed that the PML-N was open to negotiation, provided that Chaudhry was symbolically restored.” The conversation took place just a day before Nawaz Sharif would join a lawyers’ long march in a dramatic public protest for the reinstatement of judges deposed by Gen Musharraf, a demand that President Zardari had been resisting. In private, however, a different story was being told. - File Photo (Thumbnail illustration by Faraz Aamer Khan/Dawn.com) KARACHI: Even as PML-N chief Nawaz Sharif was rallying street support by publicly refusing to back down from demands for the restoration of Chief Justice Iftikhar Chaudhry in February and March 2009, the party was privately telling American diplomats that the future of the then-non-functional chief justice was up for negotiation. “Shahbaz stated http://dawn.com/2011/05/20/shahbaz-was-willing-to-negotiate-cjs-future/ that following the restoration, the PML-N was prepared to end the issue and remove Chaudhry once and for all,” reported Lahore Consulate Principal Officer Bryan Hunt in a secret American diplomatic cable describing his meeting with the younger Sharif on March 14, 2009. The conversation took place just a day before Nawaz Sharif would join a lawyers’ long march in a dramatic public protest for the reinstatement of judges deposed by Gen Musharraf, a demand that President Zardari had been resisting. In private, however, a different story was being told. As late as January 22, in fact, PML-N leader Khawaja Saad Rafique had told Mr Hunt http://dawn.com/2011/05/20/ppp-and-pmln-courted-pml-to-win-fight-for-punjab/ that a minimum requirement for saving the coalition with the PPP in Punjab was “full retirement of Chief Justice Hameed Dogar and appointment of Justice Sardar Raza in his place.” Chaudhry did not seem to have been a concern. 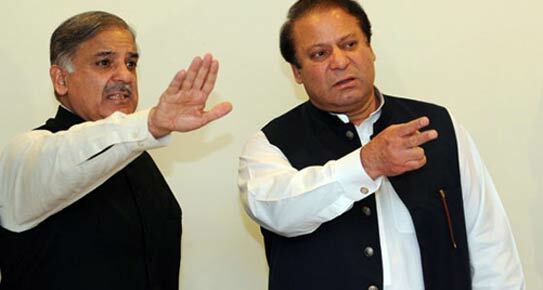 But by March 2009 he had become the PML-N’s rallying cry, and the timing clearly had to do with political developments at the time: a February 25 Supreme Court decision had declared the Sharif brothers ineligible for office, and the president had imposed governor’s rule in Punjab. “Nawaz and Shahbaz Sharif told Principal Officer http://dawn.com/2011/05/20/embassy-reported-zardari-continues-to-play-politics-while-pakistan-disintegrates/ Lahore that the decision [to declare them ineligible to hold public office], which they claimed was entirely Zardari’s, was a declaration of war; they would … take their battle to the streets. Following the decision, PML-N certainly will participate in the lawyers’ march,” reported a February 2009 cable previously published in the media. Contempt of Court and Mr. Nawaz Sahrif DAWN WIRE SERVICE November 1997 ISLAMABAD, Nov. 17: The National Assembly adopted, with a majority vote, a bill that amended the Contempt of Court Act, 1976, by providing an intra-court appeal against the orders passed by the Supreme Court to a larger bench consisting of all the remaining available judges of the court within the country. The leader of the opposition Benazir Bhutto and a couple of other PPP MNAs opposed the bill. Just before the bill was put before the House for passage, the PPP members walked out in protest. They wanted to suggest some changes but the speaker ruled they could not do so because they had not formally moved their amendments to the bill. The bill was earlier approved by a special cabinet meeting chaired by Prime Minister Nawaz Sharif and was thoroughly discussed in a meeting of the PML and its allied parties. 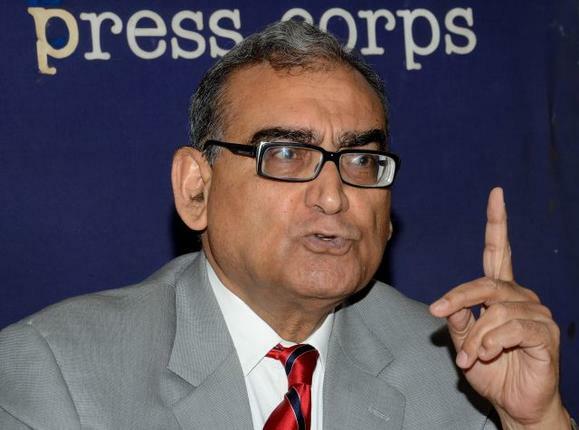 The purpose of the bill, the special cabinet meeting said, was to bring the provisions of the Contempt of Court Act, 1976, in conformity with the injunctions of Islam. 15 May 1999 ISLAMABAD, May 14: The Supreme Court on Friday acquitted all the ruling party legislators who were indicted on the charges of contempt of court for attacking the court building when proceedings against Prime Minister Nawaz Sharif were underway. The three-member bench which decided the case on Friday observed that though flagrant contempt of court was committed but showed its inability to convict the accused as the people had not given specific evidence against them. The court deplored that people had not come forward to give evidence nominating specific persons involved in the violence. The case was initiated by the court itself in early 1998 under its suo motu jurisdiction. "We would like to observe that it is very unfortunate that people have not come forward to give evidence nominating specific persons involved in rowdyism/violence that had taken place in and around the Supreme Court premises and building on 28-11-1997." The court had indicted seven persons including six PML(N) legislators after marathon inquiry proceedings. They were MNA Tariq Aziz, MNA Mian Munir, MPA Chaudhry Tanvir Ahmed, MPA Chaudhry Akhtar Rasool, MPA Akhtar Mehmood, MPA Sardar Nasim and Shahbaz Goshi, a young Muslim League activist. 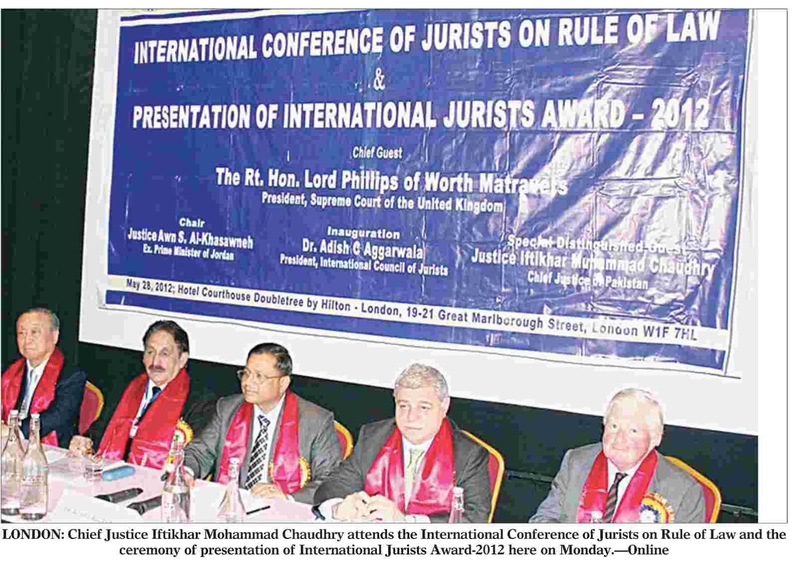 The bench consisted of Justice Nasir Aslam Zahid, Justice Munawar Ahmed Mirza, and Justice Abdur Rehman Khan. However, there is no mention of Senator Saifur Rehman against whom oral as well as documentary evidence was in abundance. Number of witnesses had informed the court that they had seen him directing the police not to stop the mob from entering into the court room. The close circuit cameras had also shown him leading the crowd towards the court room where the then chief justice Sajjad Ali Shah was presiding over a bench. The court stated it was constrained to observe that despite large numbers of onlookers, visitors and officials and also members of the press being present perhaps from early morning till the end of demonstration, none came forward to name or nominate the culprits. "It either shows lack of moral courage on the part of eye witnesses to come and speak the whole truth before the Court or they did not want to get involved in the proceedings perhaps for being singled out for having spoken the truth." The bench had examined 54 witnesses before indicting seven persons who it had found, prima facie, guilty of contempt of court. The court observed on Friday that it could not act as investigators. "As a court we do not act investigators. We could only call persons as witnesses about whom information was given that they might be able to assist the court." It was observed by the bench that verbal as well as video evidence established that a mob had gathered on that day outside the court building which was raising objectionable slogans and also carrying banners and placards with objectionable writings against the judiciary. The court held that the incident had not happened on the spur of moment and evidence showed it was premeditated. "It appears from the evidence that the action of that day was planned and purpose was to disturb the court proceeding which was conducting contempt proceedings at that time." It, however, stated that the evidence did not establish at what level and by whom the planning was done. It added: "but could be presumed that it was not done at the local level." The court stated: Despite reaching the conclusion that the action of the mob/crowd amounted to most flagrant type of contempt of the court, as the evidence does not specifically point out any of the respondents to the extent that it could be said that the case against any of them had been established beyond reasonable doubt. In our view the respondents are entitled to acquittal under the law.